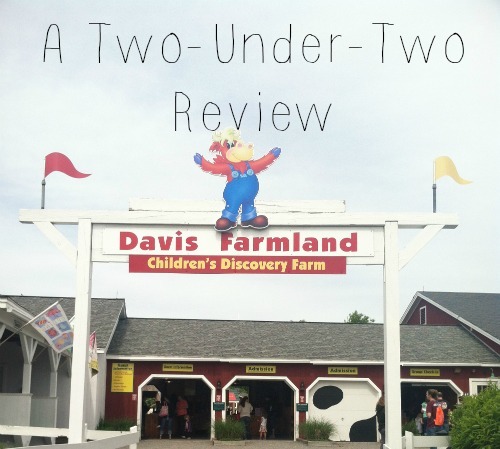 Davis Farmland in Sterling, Massachusetts is a family fun center that has a TON to offer. 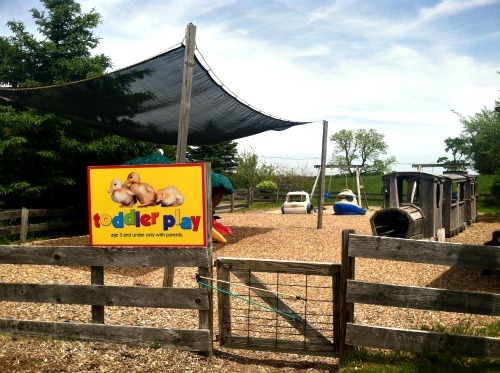 They have typical farm trappings like hand-feeding animals and hayrides, amazing playgrounds with dramatic play centers, a huge splash park, and some really great safety measures that make it easier to enjoy the day. Very Instagram-able moments, if you know what I mean. We're season pass holders this year, but I have not been paid for this review. Davis Farmland doesn't even know I'm writing it, and I'm sure they don't care that I am. Usually when we visit, we start off in the Animal Discovery area. There are pens that are color-coded as to the friendlier and less-friendly animals, and a huge common area of grass where you can find random baby animals just living their lives. 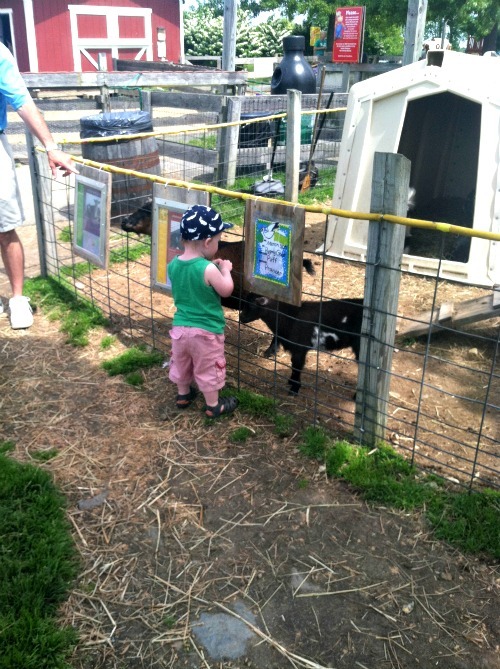 Pictured above, Milo is literally squatting to watch a goat pee. You can also feed them. There is a reptile house, a chicken coop, a huge fenced aviary with binoculars for bird watching, and tons of larger animals in pens. 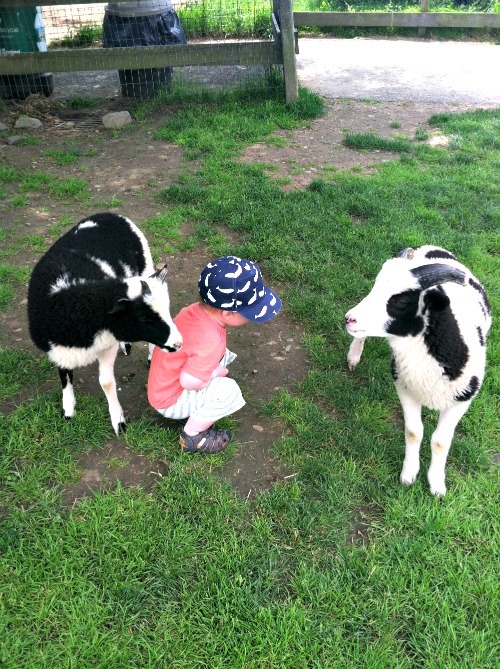 There is a hayride included with admission that is narrated by a friendly "farmer" (all the employees are farmers) and lets you get an overview of all the animals. You can buy a cup of animal feed for $3 and get cutely attacked If the animal area was all the park had to offer, it would still be really cool, but there's more. 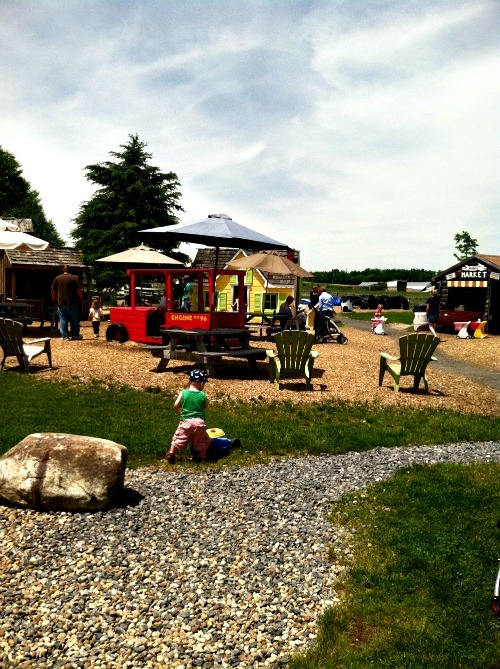 Imagination Acres is a huge section with sheds designed to be a life-sized dramatic play area. They have a grocery store, veterinarian's office, flower shop, and other dreamy places for kids to live out their fantasies. There are tons of Fisher Price lawn mowers and tractors and a swingset with a sandpit and diggers. Milo loved the fenced toddler area, with a track for kid-sized toy cars and huge plastic boats that fill deliciously with mud when it rains. Once when we were there, there was a huge cow-themed bouncy house. It really does feel like each part of the park could be it's own place to spend a day. 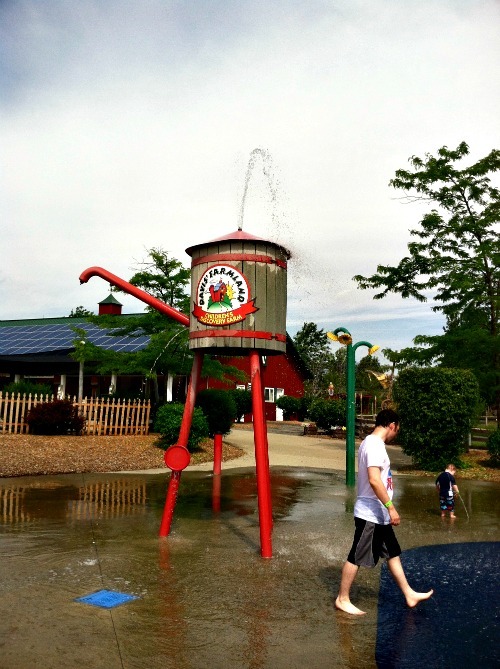 Adventure Land is a playground situated on the opposite side of the central farm area. The real draw here for Milo is a huge sandpit with little cabanas that let you cook and dump and pour to your heart's content. They wisely have a little water pump so kids can wet the sand and build and make a terrific mess. There is a buried set of dinosaur bones that you can uncover. 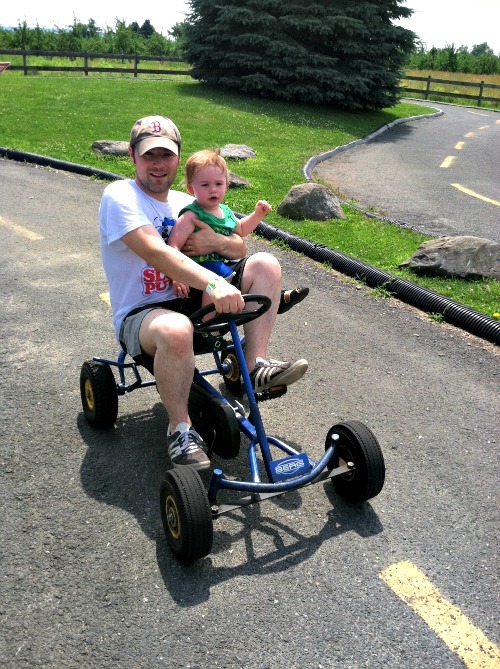 They also have a lot of things that older kids can get into- a huge, huge slide that you soar down on a burlap sack, a go-kart track (we only got this picture because we were there ridiculously early, before the crowd), and little scooters on a square of asphalt. Like every section, there are slides and climbing structures to add to the fun. This is probably my favorite part of the entire place. 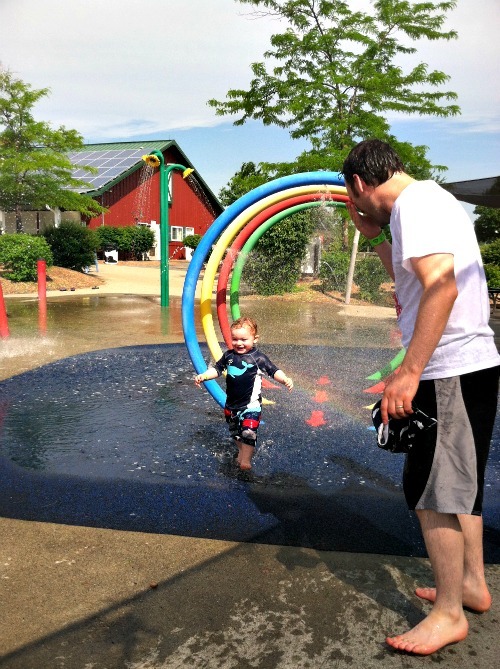 The spray park is huge and there is tons of space and Milo loves it; watching him go crazy is too cute. There are spontaneous fountains from the ground, water tunnels to run through, a crazy wet tractor, and a water table set up. Adirondack chairs are spread all around so adults can sit in the shade and watch the action. 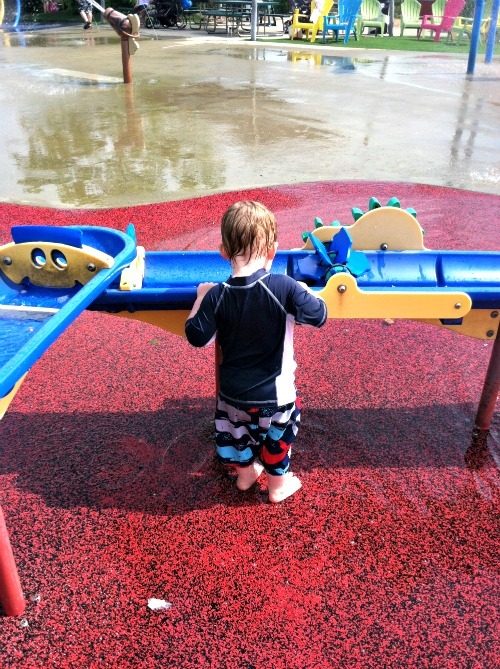 Around the corner, there's a smaller and quieter toddler spray park- Milo has always preferred the larger, so it works for most ages, but it's nice to know the tiny one is there. 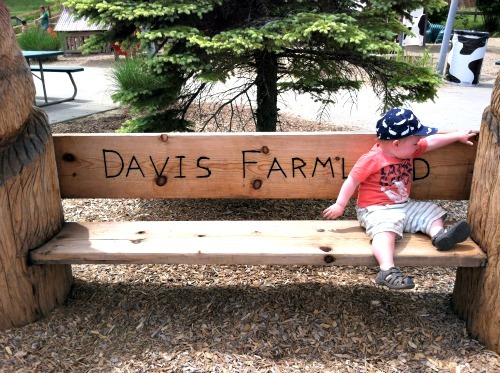 Davis Farmland works because they've thought of EVERYTHING. There are picnic tables in every section of the park, tons of shaded areas, several snack bars and an indoor restaurant, family bathrooms THAT FIT A DOUBLE STROLLER, a fully stocked gift shop, stroller/wagon rentals, changing rooms, a nursing room, lockers, a really organized birthday party package, a great membership program, and the wristband situation. One of the awesome (for people with kids) and disappointing (for regular people who like baby animals) things about Davis Farmland is that no one over the age of 12 is admitted without a child, and all members of a party wear wristbands with matching numbers on them. When you leave, they check to make sure that the numbers match. No one is getting out of there with a kid they shouldn't have. There aren't too many pictures of Elliott shown here. 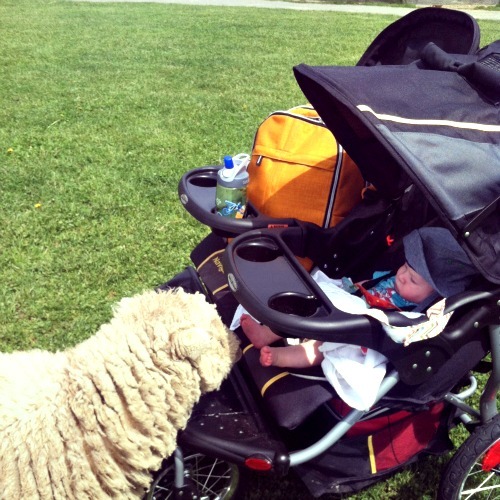 He's still small enough that he spends most of his visit tucked in his side of our stroller. 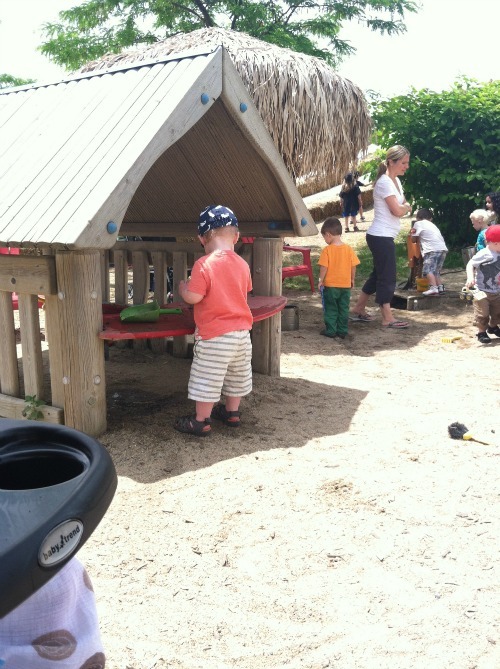 When Milo is going crazy at the playground, I usually lift him out and let him check out the situation. I can't wait until he's old enough to enjoy it a little more, but for now, he's happy to watch it all and have his toes nibbled by the occasional sheep. We love Davis Farmland; over the past month we've gone around once a week, and now that the summer is here, we're definitely going to be going a lot more often. Check out their website to get more information about the pricing (it's different throughout the season), their calendar of special events, and their daily availability due to weather. Get out and get farmy! 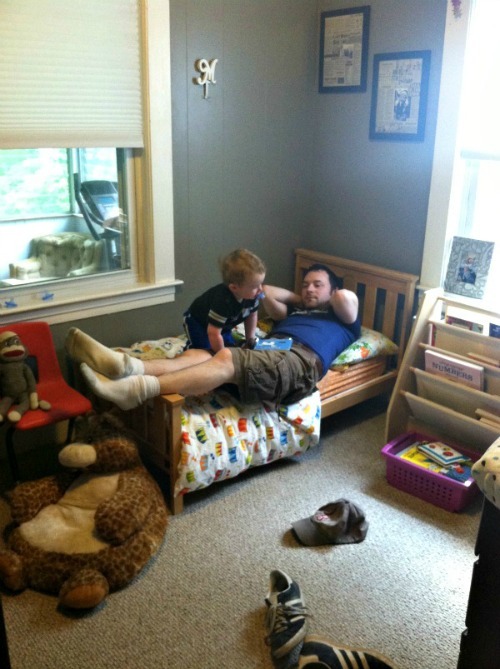 Why we broke the rules and let my toddler give up his big boy bed...for the second time. There are lots of rules in the parenting bible. Some are unspoken (if you formula feed, you will compulsively explain why breastfeeding was impossible in all conversations for at least five years) and some are quite clear (put them to sleep on their backs in a crib with no blankets until at least a year, so help you God) and all of them have been broken by our family in one way or another. One of the rules I never pictured myself breaking is "don't give in." We gave in in a big way on the big boy bed, and it was the best thing we could have done. I have two sons under two. When we found out our family was growing, Milo was only 6 months old, and in an effort to control when I felt like our lives were spiraling, I made Decisions. I had A Plan. I knew how things would work. We would break Milo of his overnight feeding before the new baby came. We would move both boys into the larger bedroom and create A Nursery with A Theme. And within three months of Elliott coming home, Milo would be in a toddler bed and Elliott would get the crib. Spoiler alert- none of these went as smoothly as I hoped, and when it was time for Milo to give up his crib, it was a disaster. Our first try was in March, when Milo was about 17 months old. Milo had twice jumped out of the crib and we decided there was nothing else to do but take him out. We laid his crib mattress on the floor and talked it up like a sleepover, but no amount of convincing could make him actually lay his head down. 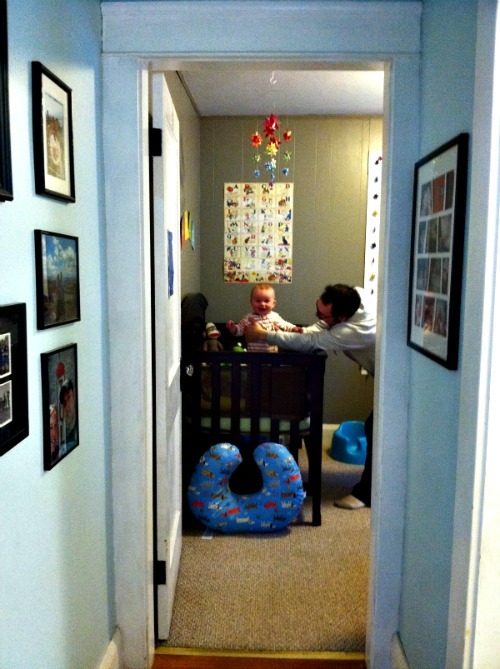 We were forced to have him sleep in the pack 'n' play, which was at least escape-proof, but he screamed bloody murder. In desperation we checked the crib and realized we could lower it one more notch. That was the first time we returned to the crib. Two months later, I was ready to try again. We had been letting Elliott fall asleep on our bed until we went to sleep. I was worried that he was getting big enough to wiggle off the bed when weren't in the room (probably legitimate) and that he would have psychological problems from being forced to sleep in a portable bed for the first 4 months of his life (probably not legitimate). In the boy's room, we set up a big boy bed, raised up the crib mattress, and thrust the family into fresh sleeping hell. Milo was mildly amused by the bed in his room until bedtime, when he realized he was supposed to STAY THERE and SLEEP. With coaxing and books and Buzz Lightyear tucked next to him, he gave it a shot, but I think the real fear set in after he fell asleep and fell right out. After that, even a wall of pillows and lots of forehead stroking from Mama and Daddy couldn't help; the bed was associated with panic. 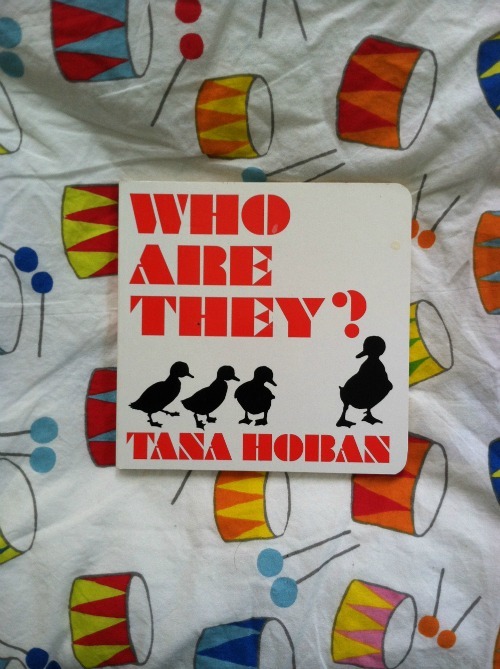 The second night, when his bath was over and it was time to pick out books, he started hyperventilating. By the third night, anything after dinner was a cause for panicked screaming. Our peaceful bedtime routine, in place and tearless since Milo was one month old, was a fight every step of the way. I would have to hold the door shut when I left until he gave up tugging the doorknob and sobbed himself to sleep on the bed, but that wasn't even the hard part. 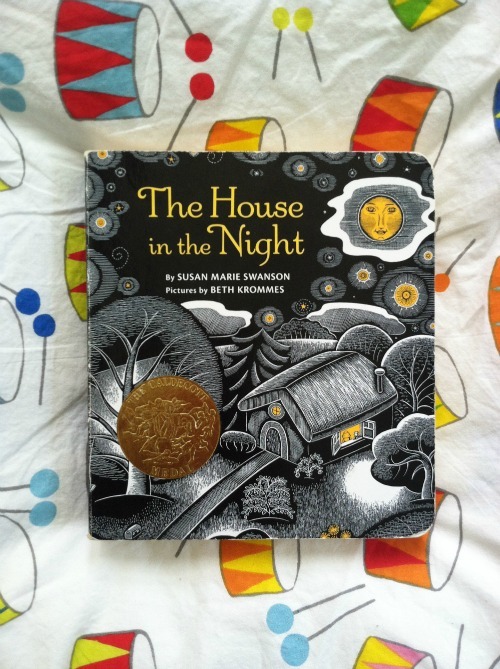 The hardest thing was when we were reading, at the end of every book, Milo would turn the last page and burst into anxious tears, shaking and clinging to my neck. 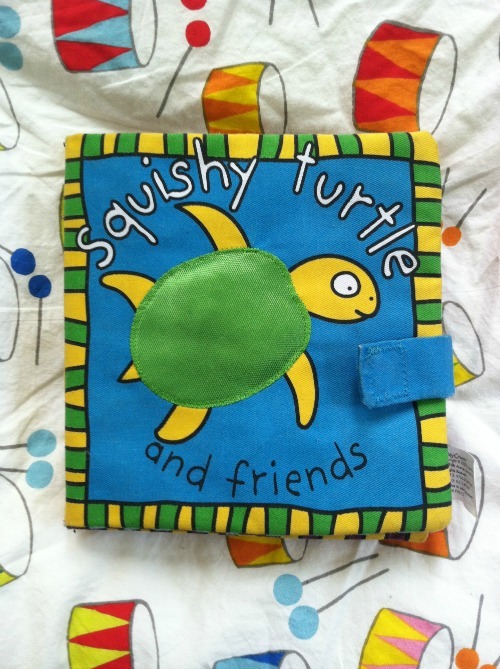 He knew that when the last book was over, it was time for bed. I've let Milo cry it out plenty of times before and he didn't just seem stubborn or irritated. He seemed scared. Once he was down, it wasn't over. He would get up 5 or 6 times a night. Elliott picked this exact moment in life to be very disturbed by the sound of his brother crying. We had to move Elliott into a little bouncy chair next to our bed so Milo would be less likely to wake him. Milo figured out how to climb into our bed, but never got the hang of actually sleeping with us, so from 3:30 on, we were getting pointer fingers shoved in our faces ("EYE!") or listening to desperate screaming if we tried to take him back. We tried sleeping next to him on the floor. We tried a trip to the store to buy special sheets. We tried letting him bring books and toys to bed. We tried holding the door shut. We tried getting him exhausted. I set up my laptop and let him watch Toy Story while eating chocolate cookies under the covers so bed would feel like a special place. It was 2 o'clock in the afternoon and he cried (cookies, Woody, and all) unless I laid next to him on the floor. We were walking zombies. It felt like the first few days home with a newborn again. Milo's nap schedule at day care was thrown completely off. If I kept him home for the day, he would get no nap at all. The height of embarrassment was a speech therapy home session where, in his exhaustion, he shrieked, tantrumed, threw two toys that hit his brother, bit the backs of his own hands, then ran and found his paci and monkey, all while the early childhood professional sort of blinked at him, gently reassuring us that this wasn't the first craziness she had seen. But it was our kid, our craziness, and we were both embarrassed. 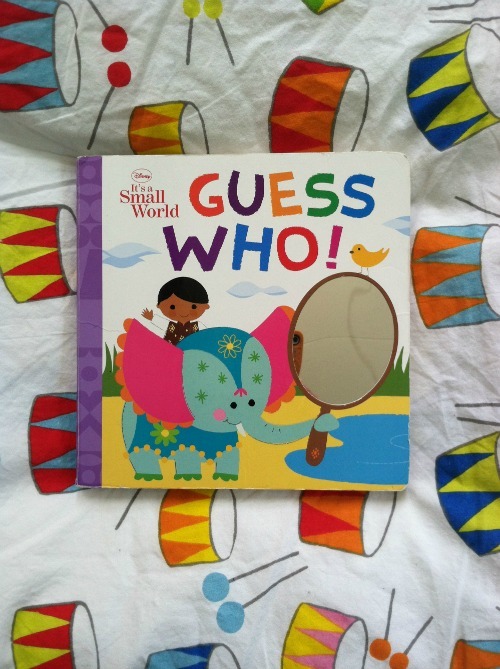 She gave us some more tips for being strong and making bedtime work. We pushed forward. Then, this weekend, my parents were visiting from Florida, and after seeing our exhaustion, Milo's anxiety, and the general mood of the family, my mom said, "Maybe he's not ready. Why can't you put him back in the crib?" My husband said, "Aren't we not supposed to do that?" summing up exactly my thoughts of, "He has to be ready, I had a plan, and I've talked about this on Facebook, and everyone said don't give in, and the early childhood professional thinks this should work, so I don't think he can go back in the crib, no." And mom said again, just as gently, as the end to the conversation, "He might just not be ready." And it clicked. We had kicked around the idea of going backwards. My husband pointed out that Elliott, the entire reason we started the process in the first place, was sleeping in a too-small chair on the floor, so clearly the plan wasn't rolling out like we thought. I think I was just too tired to be stubborn anymore. That night we dropped the mattress down in the crib. At bedtime, when Milo was starting to ramp up his anxiety, we asked, "Would you like to sleep in your crib?" He grinned and said, "yeshyeshyesh!" The mood of the family instantly changed; we were all so much more relieved that I had even expected. For the past three days, bedtime has been a lovely affair. The bed is still up, but entering the bedroom doesn't bring panicky tears. 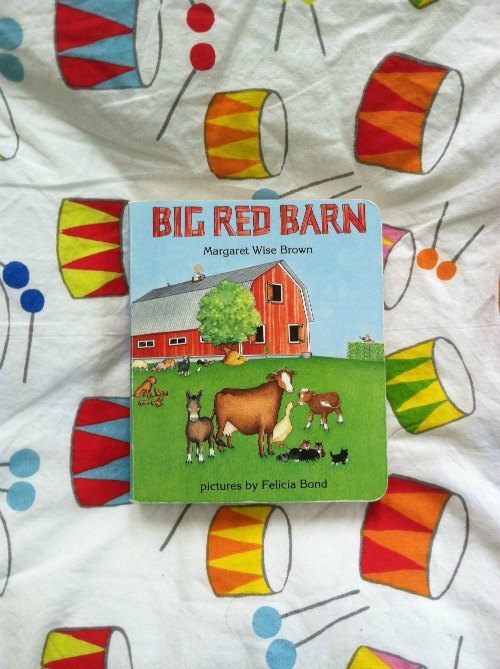 In fact, our bedtime stories are read snuggled up on the bed before switching to the crib for sleep. My goodnight song doesn't make Milo sob. We don't spend our grown-up time holding our breath and analyzing sounds down the hall, and we're getting more rest. Yeah, Elliott is still in a pack 'n' play in our bedroom, but he seems to be fine, even safer than before because I don't have to wait for Milo to be conked to put Elliott in his bed. Our nights and mornings and days are much, much better. We'll try other sleeping arrangements as time goes on. Eventually we'll have Elliott in the room with his brother. Eventually, Milo will happily sleep in his big boy bed. Eventually, we'll probably have them in bunks and maybe we'll grow this family even more. 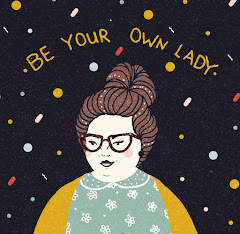 But for now, we're accepting that we tried something that we weren't ready for, and no matter what other mamas or family members or professionals say, going backwards was what was best for us, and we're all happier because of it.